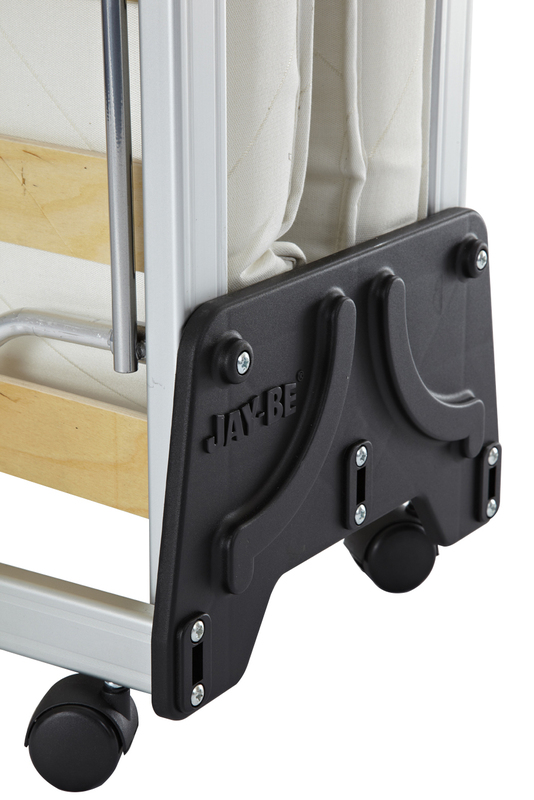 The Jay-Be J-Bed® Fold Up Bed offers superior comfort for your guest night after night. 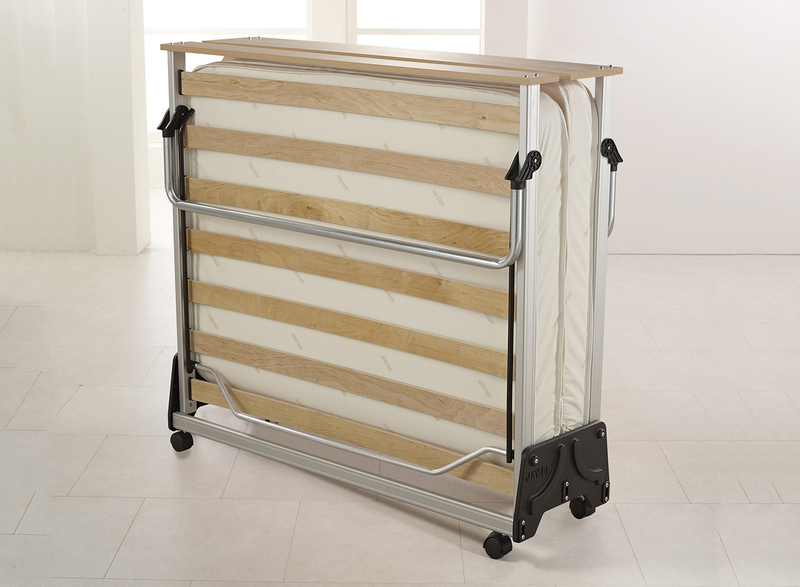 A lightweight aluminium frame and 360° castors allow for simple operation and very easy manoeuvrability in this fold up bed. The exclusive J-Lok® mechanism enables effortless opening and closing, one side at a time. 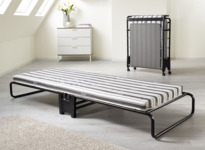 Combining two innovative layers - a high density base layer topped off with a top layer of soft fibre, the mattress of this jay be bed provides outstanding support and comfort. 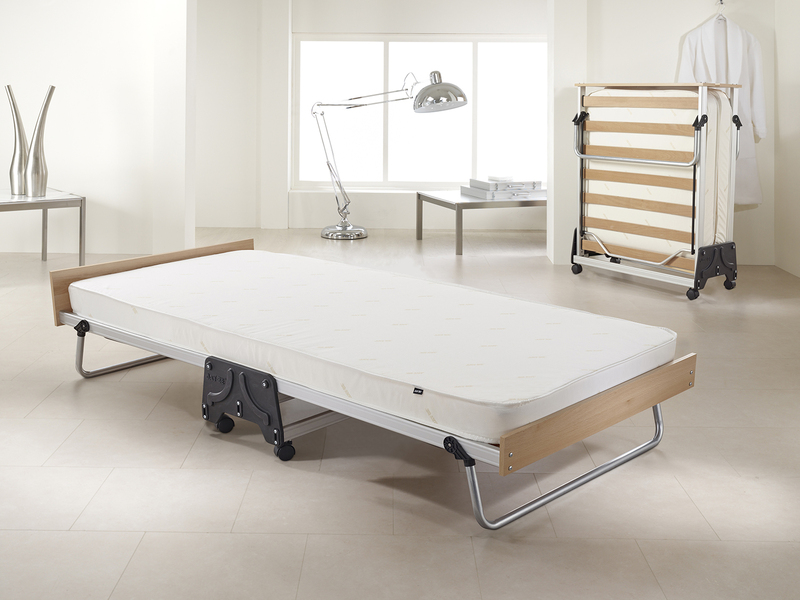 The mattress is finished with a high performance fabric for greater durability. 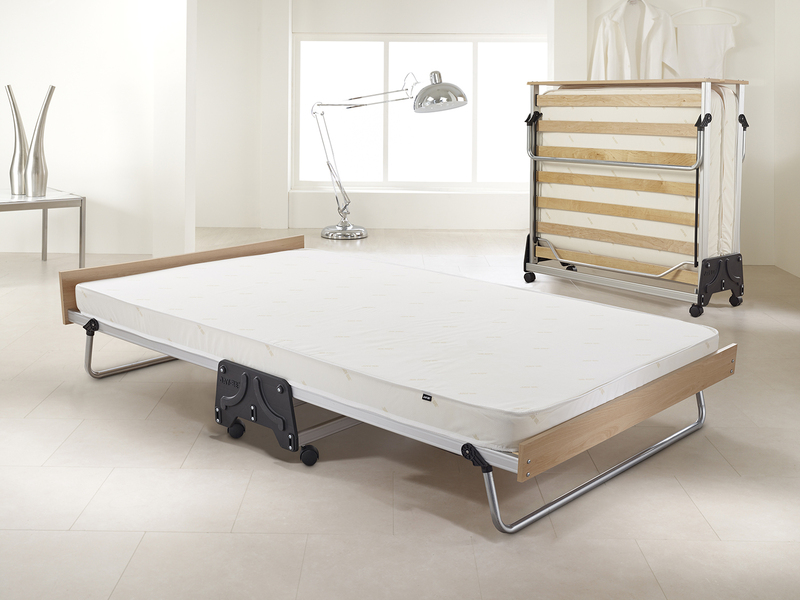 Sprung slats flex and move in harmony with the mattress for adaptable personal support. Single 112cm / 44" 96cm / 38" 38cm / 15"
Double 112cm / 44" 123cm / 48" 38cm / 15"
Single 42cm / 17" 96cm / 38" 204cm / 80"
Double 42cm / 17" 123cm / 38" 204cm / 80"
Your bed will be delivered within 2-3 working days. 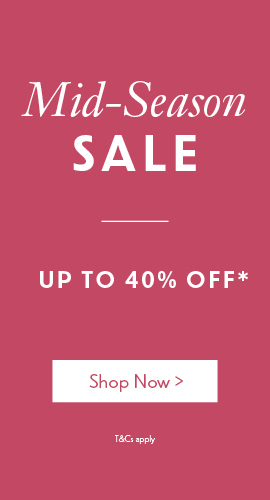 Orders placed after 10am will be dispatched the following working day. Excellent, one person can easily unfold and move. No effort. Great space saver. Great guest bed. i have a really nice loft room which previously was only used as a studio space for work. I couldn't put much furniture in the room as i needed a flexible floor space. My partners entire family recently came to stay so we needed a third bedroom. We purchased this particular bed because my partner is over 6ft tall. Since it has been in the attic room we have slept on it every night, even thought the family has now gone. We love our new room!!! For £300 (ish) we have got a new bedroom which can easily been converted back to a fully functioning studio in seconds. We are careful with the bed as we have read reviews of breaking slats but we have not had any problems and we have both slept on it every night for a few weeks. It is now our favourite room in the house!! Easy to put up and move around. Very comfortable. Bed arrived 2 days ago. Very pleased with it. So simple to use after struggling with a heavy sofa bed for the last few years. 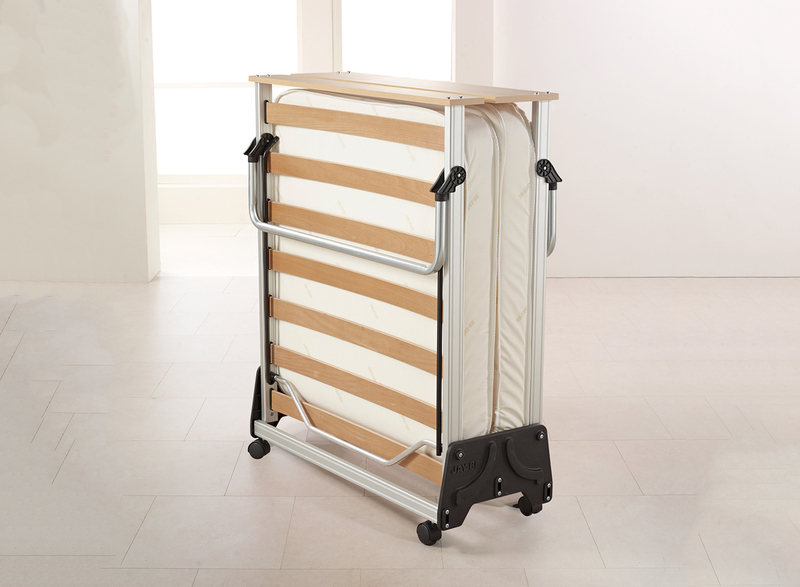 Ideal when guests come to stay, and frees up extra space when not needed. Really easy to put up just 5 seconds. Great mattress ensuring a great nights sleep even for me 6 ft 3 and 17 stone. Highly recommended a great purchase. Purchased this bed as we don't have room for a spare bed but my 77 year old father needs somewhere to sleep when he comes to say with us. This bed has solved the problem - he finds it very comfortable. I was very surprised that the matress really is comfortable. The bed is strongly constructed and doesn't creak or groan when a fully grown adult sleeps on it. This is ideal if you need a spare bed with the comfort of a real bed but do not have the space. Don't waste money on cheaper types of folding beds. Would highly recommend this for adults or children. Easy to use, comfortable, plenty big enough for me at 6ft 1"
Although we are absolutely delighted with the actual bed and the way it folds so brilliantly, we are really disappointed with the mattress. It is so hard (we are used to sleeping on a firm mattress) that we had to buy a memory foam topper to go over it. We wish we had paid the extra to get the memory foam mattress. Purchased for a spare room to free up some space in there when nobody is stopping over. It's very simple to fold up or unfold the bed. Having had a quick lie down on the bed, it's comfortable and, despite the thinness of the mattress, you cannot feel the slats underneath. The bed doesn't creak when rolling over on it. It was recently used for a full night with two people sleeping on it and they told me that it was very comfortable. Am glad I bought it! Yes the mattress is included. Please can you let me know the maximum weight for people using this Jay-Be-J-Bed - double. Also maximum weight of persons for the Jay-Be Impression double bed. The thickness of mattress for each bed and weight of each bed. Also the price of each double. Both the Jaybe JBed and the Impression support a maximum weight of 22stone. They both have a mattress depth of approximately 10cm. The Jaybe JBed has a Packed weight 38.5kg/85lb and the price is £239.00. The Jay Be Impression double bed has a Packed weight 33.7kg/74lb and the price is £233.99. What's the weight single bed can afford? I confirm this bed has been tested to take a maximum weight up to 22 stone. Jay-Be have confirmed the J-Bed mattress has a medium feel.